Remember To Add A Support Stand! See Kit Options. 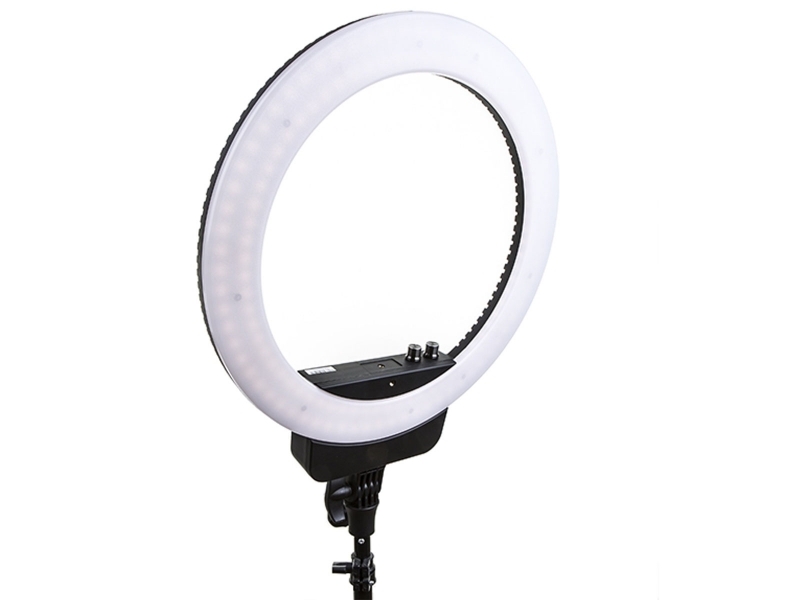 The Venus V29C ring light is a versatile ring light that can adapt itself to a huge range of needs and projects. Whether in the studio or on the go, it's ideal for vlogging, live streaming, interviews, talking heads, make up application and tutorials, portrait photography and small product photography. 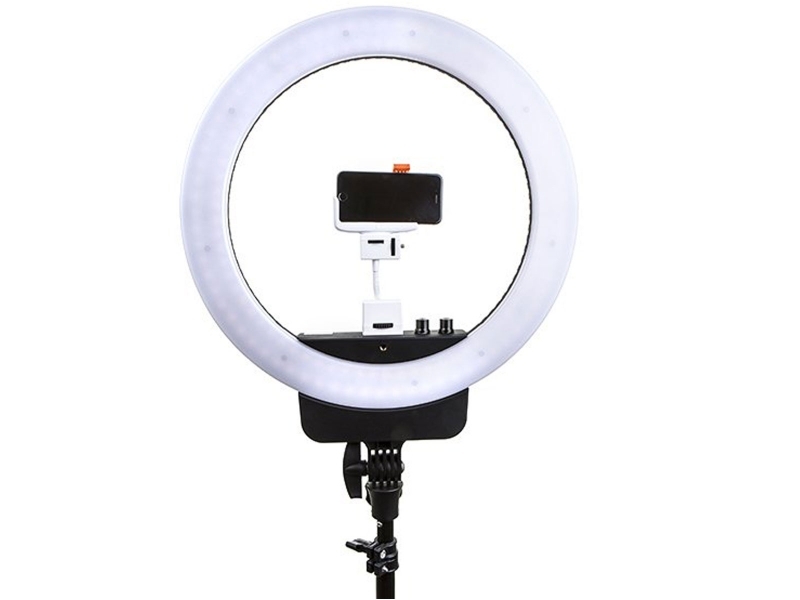 It can be powered by mains adapter or Sony NP-F type batteries, making it the perfect portable ring light for any in- or out-of-studio projects requiring constant lighting. The V29C is powerful, has a high CRI, and is brightness and colour adjustable. This LED ring light has a maximum output of 29W and a total illumination of up to 2050 LM. It measures 400mm externally and 305mm internally, weighing in at 910g. 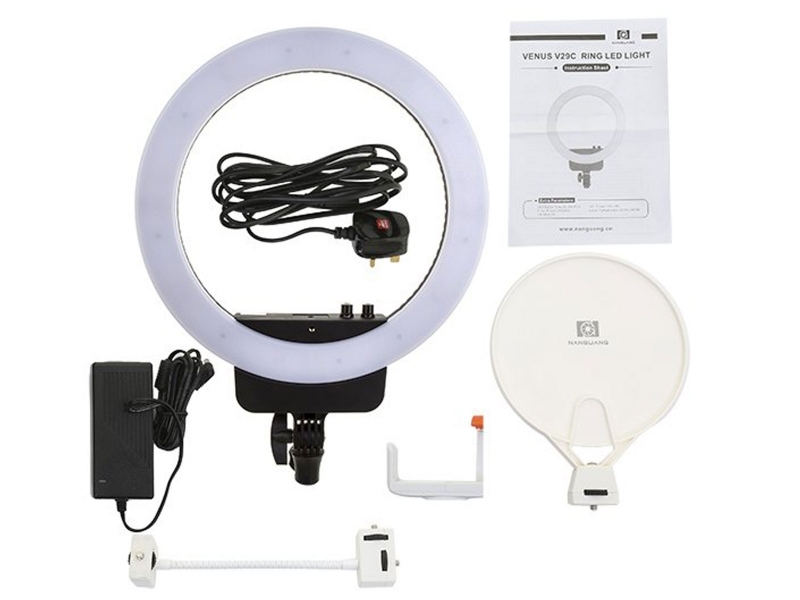 With adjustable brightness 0-100% and stepless colour temperature adjustment 5600-3200K, it is supplied complete with a range of accessories including smartphone bracket and make up mirror, either one of which can be mounted directly in the centre of the ring light. 1. MULTI PURPOSE – Ideal for vlogging, live streaming, interviews, talking heads, make up application and tutorials, portrait photography and small product photography. 2. PORTABLE, POWERFUL – This ring light can be powered by mains adapter or by Sony NP-F type batteries, making it perfect for projects on the go. It has a maximum illumination of 2050 LM, with a power output of 29 Watts. 3. ACCESSORIES INCLUDED – Supplied with a range of accessories including smartphone clamp and make up mirror that mount in the centre of the light. 4. FULLY ADJUSTABLE – Colour temperature is steplessly adjustable 5600K (daylight) to 3200K (sunlight), and brightness is adjustable 0-100% using the easy dials on the ring light. 5. UK WARRANTY – Covered by a 2 year UK warranty.